I am hosting book club on Tuesday. Someone, please come slap me, because what in the world was I thinking. Next week we not only have book club, but Ruby is getting spayed, AND we are traveling to Rochester. Could I have picked a less busy week? I have been thinking a lot about what I want to make. 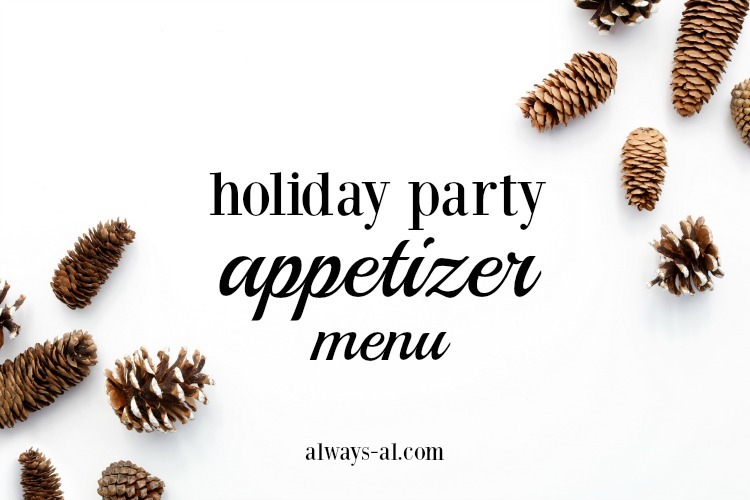 I want to do some good stuff (it is our holiday party), but also stuff that is easy. Y'all know that I love me some semi-homemade, easy recipes. First of all, I tried this beverage on a wine walk last weekend (I know... this isn't wine), and it was so freaking good. I am planning to make this Spiced Cider and serve it in my large beverage dispenser. Usually, we each bring a bottle of wine and share them, so I think this will be a good addition. I will probably share this recipe with you later. I am excited to flex my cooking muscles with these, but most of them don't seem too hard! I am even more excited to serve them in our new stuff that we got for the wedding. Be prepared for some pics. Last but most CERTAINLY not least, is dessert. Personally, dessert is my favorite, which might be why there are so many dessert recipes on this blog. I think the holidays bring some of the best desserts with them, and I'm excited to get into the spirit! 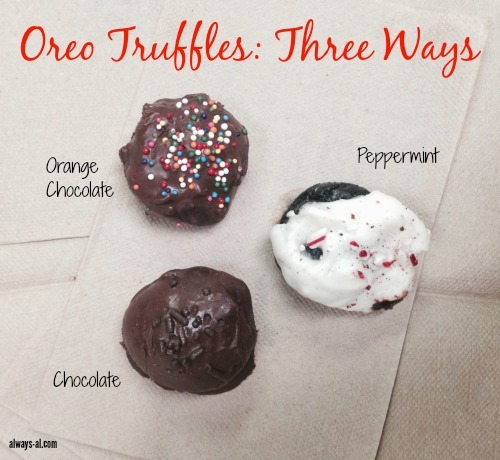 These Oreo truffles are my go-to for this time of year, and I can't wait to make a batch. Maybe I will try a different variety this year! I would absolutely LOVE to know if you have any recipe suggestions for me! Like I said, this is my first real hosting experience, and I'm nervous! I want everything to be perfect!